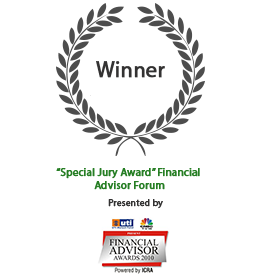 FinEdge has received the Special Jury Award by CNBC TV 18 and UTI Mutual Fund. 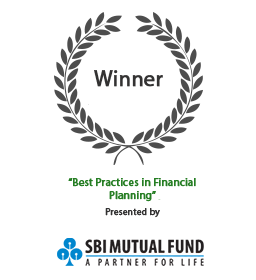 We take immense pride in providing conflict free advisory to our clients and have been the youngest recipients of this award. FinEdge was awarded for 'Best Practices in Financial Planning' by SBI Mutual Fund. This award recognizes the indepth research and analytics undertaken by our Financial Planning Managers to provide the most optimum investment solution to our clients. Our approach towards Wealth Creation through client Risk Profiling and Asset Allocation has benefitted clients across all spectrums. 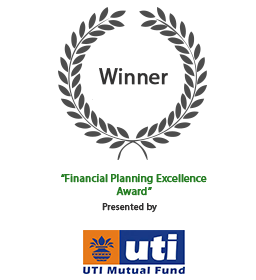 FinEdge has received the 'Financial Planning Excellence Award' from UTI Mutual Fund. This award recognizes our core belief to protect client interest and provide the best possible solutions for wealth creation. We believe that Financial Planning is an ongoing process and our Financial Planning Managers are available for our clients at all times to dicuss, review or rebalance portfolios. 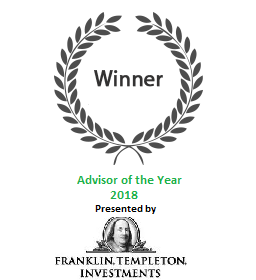 FinEdge was presented the highly coveted and prestigious "Advisor of the Year - 2018" award at Franklin Templeton's annual conference, in recognition of the quality of our Financial Planning Advice and our Investment Advisory Practices.